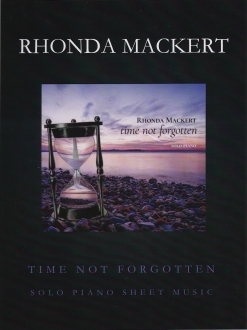 Time Not Forgotten is the companion sheet music book for Rhonda Mackert’s 2018 album by the same name. 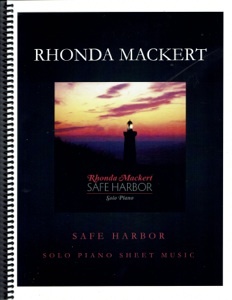 All twelve piano solos from the album are included, transcribed note-for-note to match the recordings. None of the pieces are especially difficult, and I’d put them all at a later-intermediate to early-advanced playing level. The scores are very roomy, well-spaced and printed on a heavier paper that still allows for easy page turns and should hold up longer than lighter-weight papers. The front cover is a full-color reproduction of the beautiful CD artwork and the printed book is spiral-bound. I really like the variety in the music and this is my favorite of Rhonda’s five albums (so far). Quoting from my review of the recording: “Time Not Forgotten is a collection of twelve original pieces inspired by Mackert’s memories of experiences and events in her life from childhood forward. Overall, the album maintains a relaxing and calming pace with a spirit of optimism and positivity - things we can all use more of!” Metronome settings, pedaling suggestions, and descriptive playing instructions are all included. There are no reaches of more than an octave, and none of the key signatures are difficult. 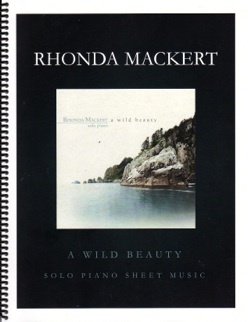 This is a very nice sheet music collection for pianists of any age and should bring many hours of playing enjoyment! 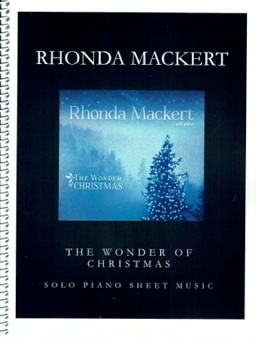 It is available in printed books or downloads of the full book or single pieces from www.RhondaMackert.com. Highly recommended!